Short Description: At Dream Wedding Dance we specialise in creating customised wedding dances to make the dream of brides and grooms come true. From the simplest bridal dance to the most extravagant wedding dance, we tailor the routine to the style and requests of the bride and groom, so they look and feel fantastic on their first dance as husband and wife. We offer private and group wedding dance lessons in Sydney in our world-class studio in Alexandria. Short Description: Adelaide DJ Services specialise in providing professional DJ entertainment customised to suit your needs. Our professional Adelaide DJs and MCs give a high quality service, personalised to your particular wishes. By working with you to understand your vision we will help design an event that you and your guests will enjoy and remember for years to come. Short Description: Indian Dancers for Weddings, Melbourne’s professional bollywood dancers for weddings. Ignite Bollywood provides fantastic bollywood wedding performances in Melbourne. Short Description: For Leigh, it is all about capturing the moment. Leigh prides himself on how his couples alway feel at ease and trust him to capture those memories, those moments that are beautifully spontaneous and unique to your wedding day. 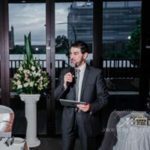 Short Description: Starlight Dj is one of the best wedding dj Melbourne who has the charm to make your night the most unforgettable night of your life. Short Description: Mitchell J Carlin- Candid, documentary style Wedding Photographer.